This house is located centrally and quietly in the accommodation Steinmatte, where we rent out two very spacious apartments for 4-5 persons (80m²) as well as 6-8 persons (120m²). In front of the house there is a big child-friendly playing field and lawn with a climbing wall, table tennis, trampoline, swing and a barbecue with seating. Spacious 5- bedroom apartment for 6- 8 persons with 3 double bedrooms, living room, eat-in kitchen with dish washer, induction stove, bathroom/WC, shower/WC, radio, DVD player, telephone, cable TV with news channel, free WiFi internet access. 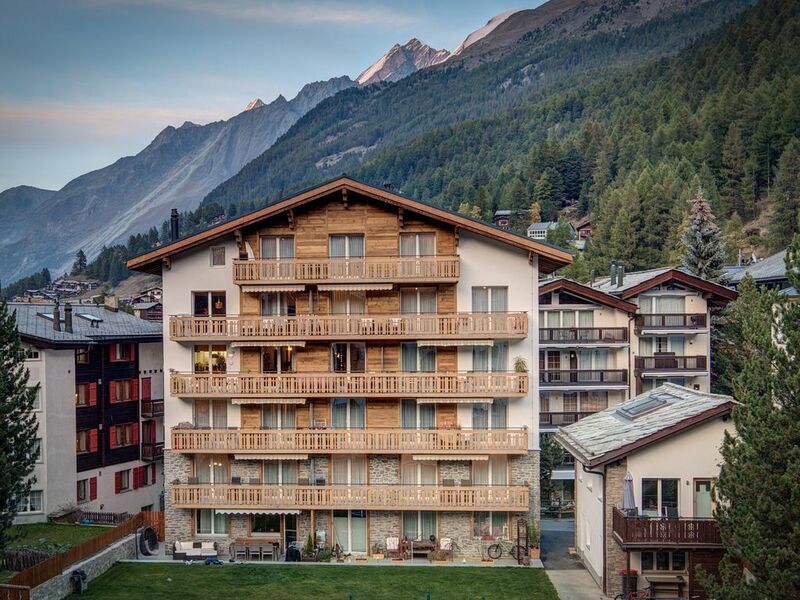 All rooms feature a balcony, living room and kitchen with view of the Matterhorn. Family packages: During the summer we offer very interesting family packages with mountain guide. Zermatt - Matterhorn. The village lies at the foot of the Matterhorn, probably the most frequently photographed mountain of the world. Here we rent out chalets, holiday accommodations and apartments for 2 - 8 people. Im Preis inbegriffen sind Kurtaxe, Endreiniung, MWst und Wäsche.